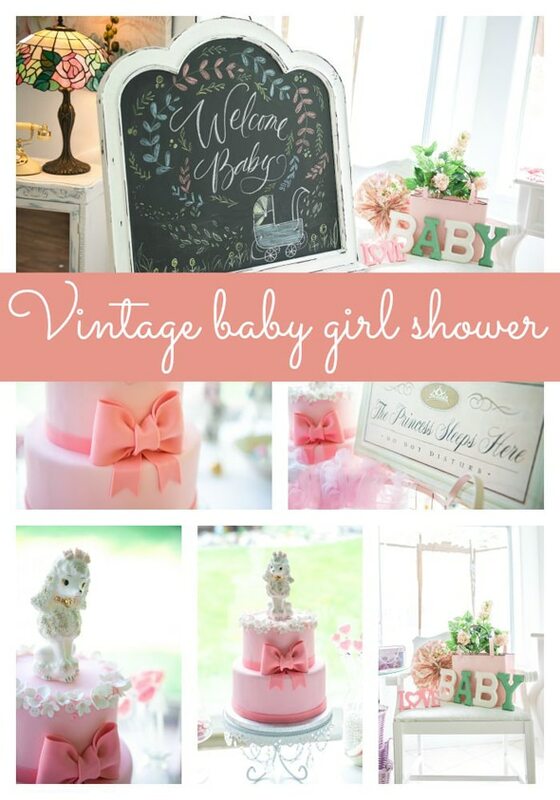 This sweet Vintage Baby Girl Shower is the perfect way to celebrate a new precious bundle of joy! 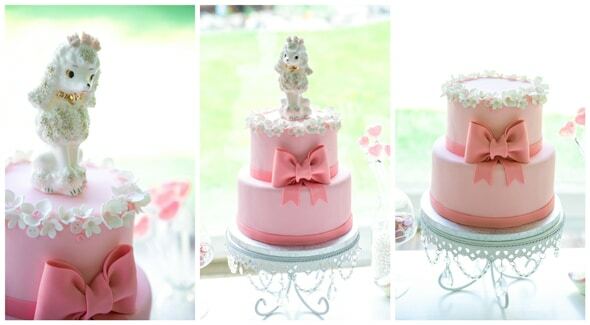 Sweet pastels and adorable vintage details make this celebration truly unforgettable. A pretty white vintage chalkboard sign welcomed guests into the celebration. 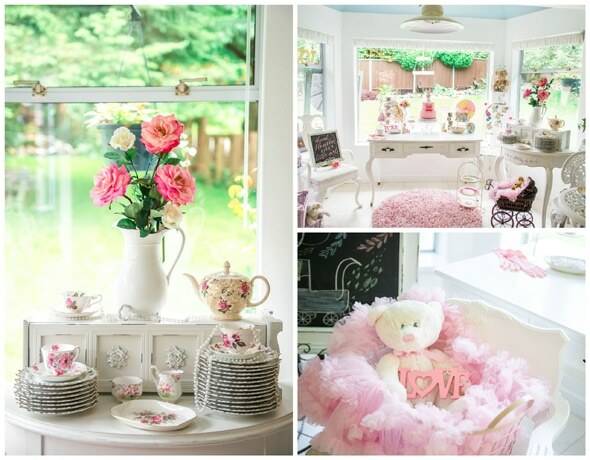 A white vintage table sat near a big window where the pretty pink two-tiered cake with a bow sat surrounded by lovely vintage decor. Wooden “love” and “baby” signs were also sweet touches to the space, while lace and floral arrangements rounded out the decor. 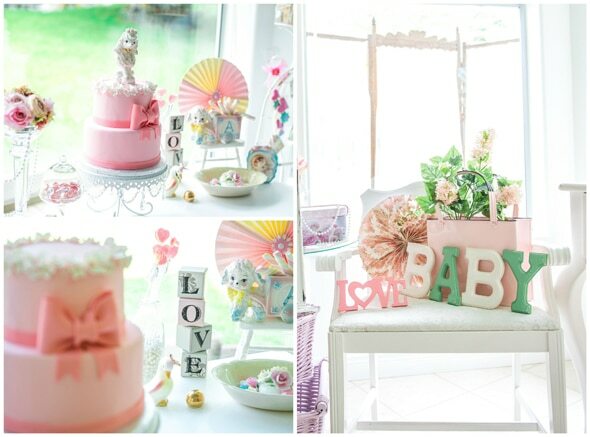 These party details would also work great for a first birthday or a baby naming party after baby’s arrival! 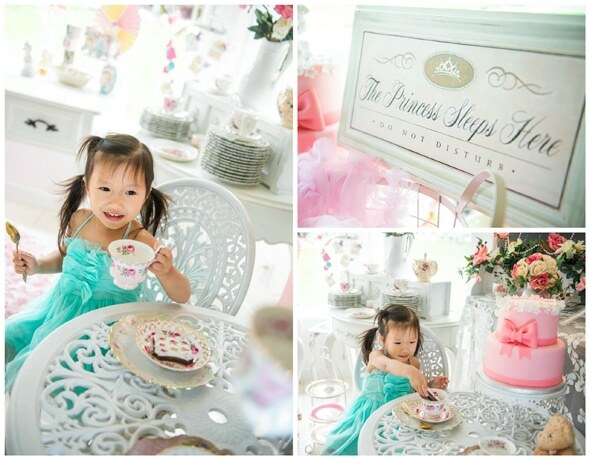 We absolutely adore the vintage sign that says “The Princess Sleeps Here.” It’s so fitting for that cute little princess looking pretty in pink! 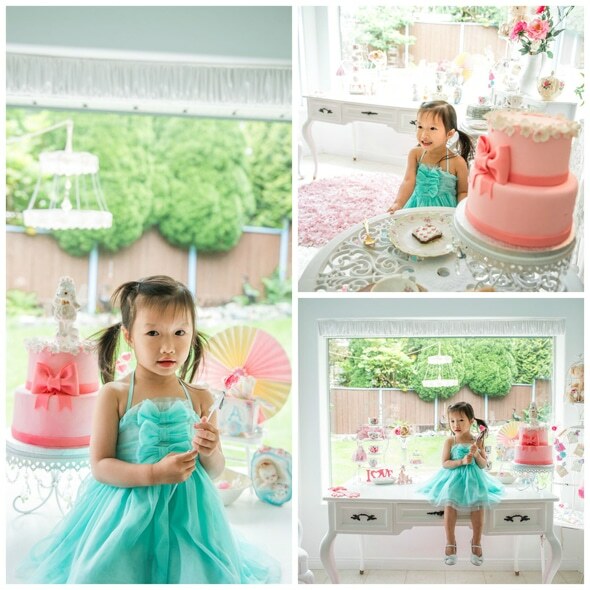 Another vintage sign that said “Thank Heaven for Little Girls” was another great added element to the party space. 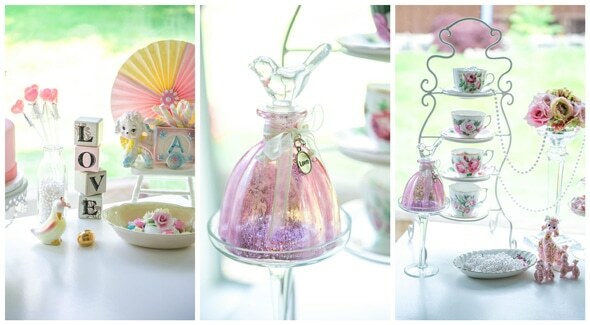 Darling vintage floral plates and tea set were set out for all of the sweet treats and tea that were enjoyed by guests. 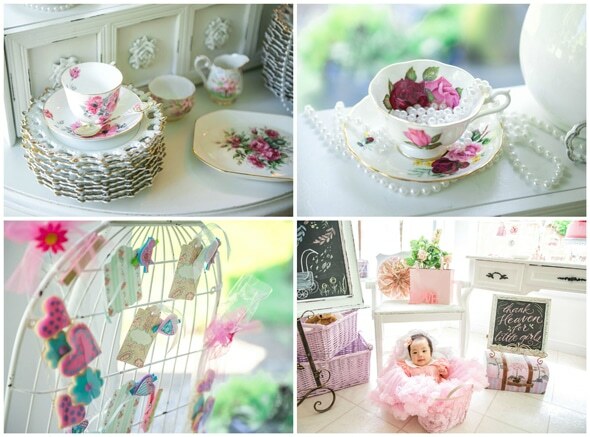 What a wonderful vintage baby girl shower!